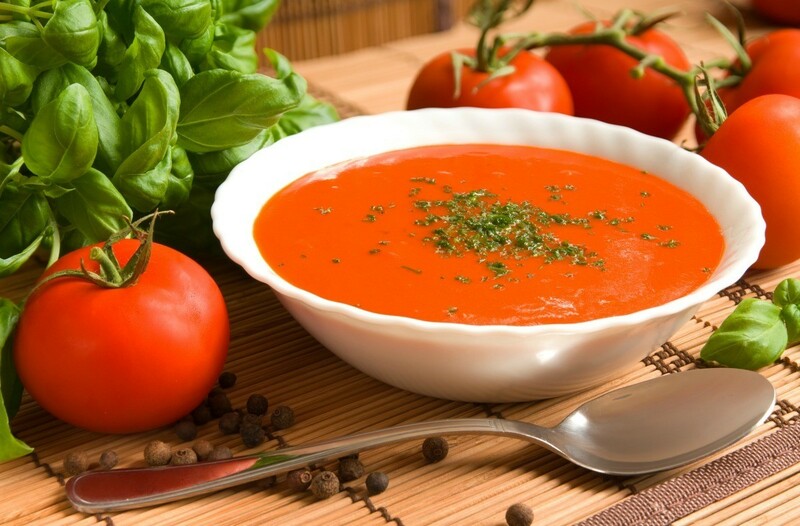 Tomato soup is a delicious, yet simple soup to make. 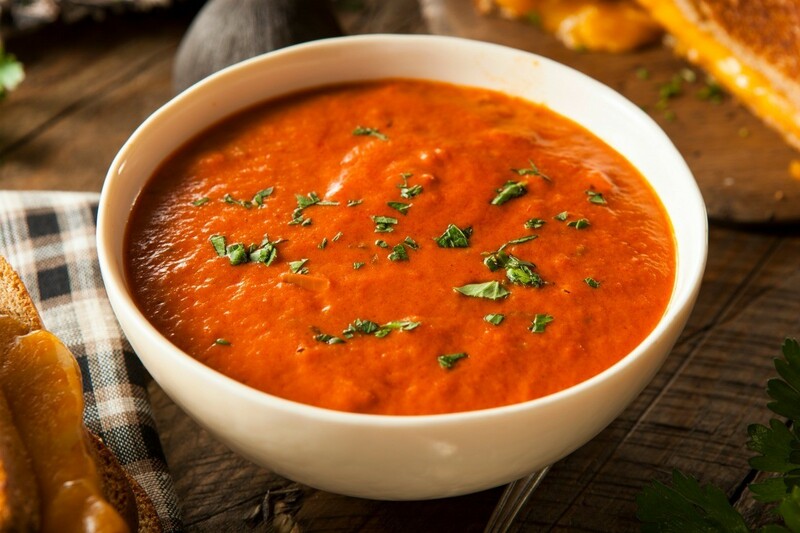 Making your own tomato soup gives you the opportunity to experiment with a variety of tomatoes to find the perfect flavor. 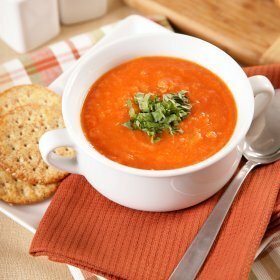 This page contains tomato soup recipes. Share on ThriftyFunCheck out these ideas shared by the ThriftyFun community! Have something to add? Please share! So easy and comes out every time. Melt butter and stir in flour. Keep your heat down low. Add tomato juice, I like to use my thick home canned juice, blend in with flour mixture. This is especially good using homegrown tomatoes in the summer, but it's still good with store bought tomatoes as well. You can even use canned tomatoes. Very yummy and good for you! Saute onion in oil in large saucepan until softened. Add remaining ingredients. Cook, uncovered, over low heat for 20 minutes or until tomatoes have softened and liquid has reduced. In a blender, cover and process a cup of tomato juice with half of the tomatoes, cucumbers, peppers, onion, thyme, and garlic until chopped. Pour in a large bowl or container. Repeat. Wash and clean tomatoes; cut out stems and any bad parts. Cut in halves or quarters and add onions, parsley, and bay leaves; cook 2 hours and strain. Peel tomatoes by dropping into boiling water until skins crack (about 1 minutes). Slice onions; put tomatoes, onions, and celery in big pot. Cover and simmer for about 20 minutes. Recipe for Tomato Sip. In large saucepan, combine bouillon, tomato juice, lemon, cloves, basil; simmer 5 minutes, strain. stir in salt and sugar. Serve hot in mugs or cups. This is a fun, delicious soup to make! Very good flavor with a bit of a bite to it! This recipe is less than $1.00 per serving. Chop and fry onion/garlic until soft, add tin tomatoes, stock cube, water. Blend until smooth, put back on heat, add salt, pepper, ketchup to taste. Stir in basil. I need a simple recipe for our church group for tomato cheddar soup for serving 50 people. I am looking for a recipe for homemade tomato soup. It has chunks of tomato in it. I had to pick all my tomatoes as it is supposed to be frosty tonight! Thank you. Try this different take on tomato soup. This version uses a premade soup base added to blended veggies beans and noodles. It is hearty and satisfying for a weeknight dinner. This is a guide about wonderful tomato soup. Begin with a can of whole peeled tomatoes and add your own additional veggies and spices for a quick and delicious soup. 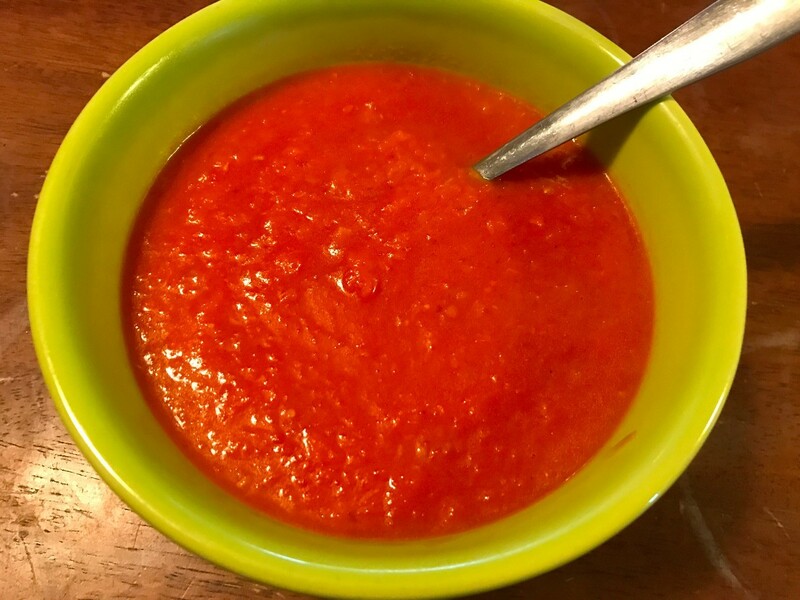 This page contains an easy tomato soup recipe. The slightly sweet flavor of basil is a nice complement to that of your fresh or canned tomatoes in these yummy soups. Add grilled cheese sandwiches or a salad and lunch or dinner is served. 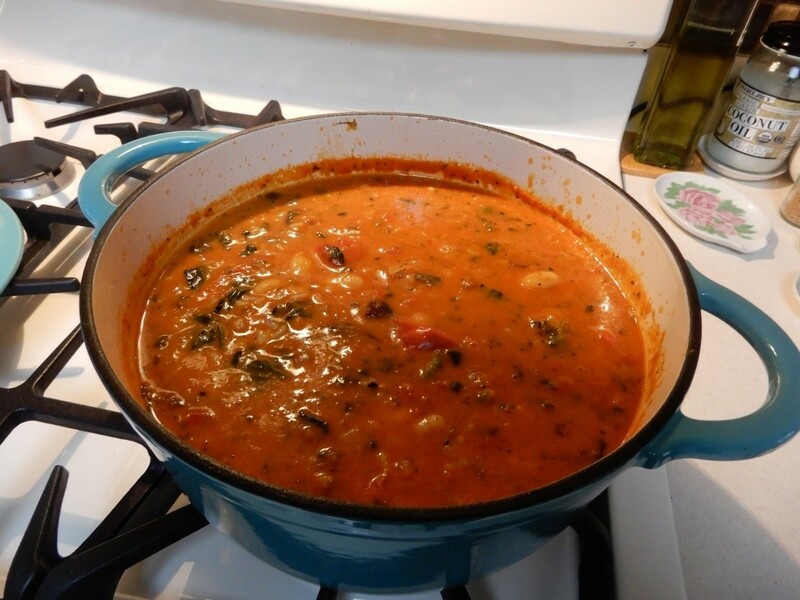 This page contains recipes for homemade basil tomato soup. 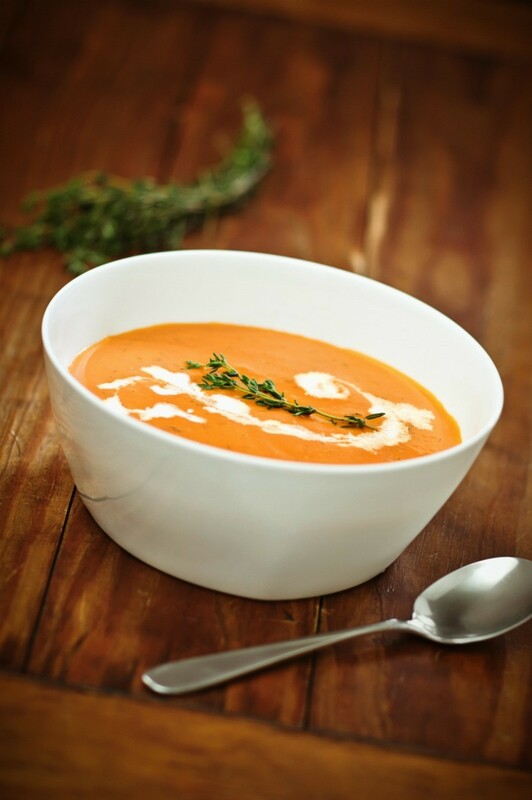 A rich, creamy soup can be prepared at home with chunky or crushed tomatoes and seasonings. This page contains tomato bisque recipes. In a skillet fry bacon crisp. Crumble bacon and reserve. Save 2 tablespoons of bacon drippings in skillet. Bring tomato juice to a boil; then reduce to simmer. Add cabbage and simmer 1 hour. Add seasonings and serve. I know what's in it and there is no preservatives. I would like a simple recipe for tomato (or cream of tomato) soup. It cannot have beef or chicken broth, or any meat or meat-by-product in it. Melt margarine; add flour, onion, sugar, salt, pepper and 1 cup tomato juice. Cook, stirring constantly, until thick. Remove from heat.